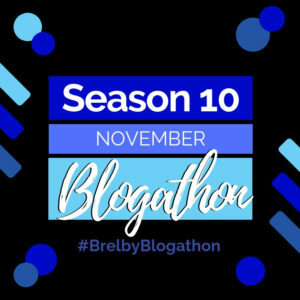 It’s become a tradition at Brelby to spend the month of November reflecting on our artform and how it impacts us through our annual Blogathon. This year, in honor of our 10th Season, our Blogathon participants will be sharing lists of 10 things that have impacted them, whether they be lessons or memories…or are looking ahead towards future goals. 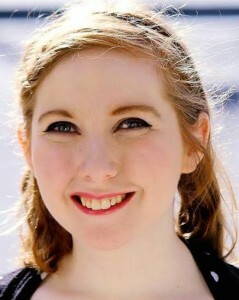 Today’s blogger, Alexandra Utpadel, has been seen on the Brelby stage more times than we can count…from Little Women the Musical to our most recent production of Much Ado About Nothing. She exudes excellence, has an incredible work ethic, and is our resident baking queen. The third: the commiserating fellow artists. That slow nod that somehow speaks of hours of hard work and sleepless nights, the rush of putting out a piece of which you are enormously proud, the weird injuries and hilarious tales of fails. The smile you share because you know you wouldn’t have it any other way. If I’ve learned one thing about being an artist, it’s what to expect of people when you proclaim it. Luckily, I’ve learned more than just the one thing – this would be an awfully boring blog post otherwise. So here are ten – yes, ten – things I’ve learned from being an artist. I am a creature of habit. I like to have a structured routine. Spontaneity is all well and good, but have you ever made a checklist? Have you ever sorted your Skittles out by flavor and gobbled up the lemon ones last because they’re the best? One of the things I quickly learned about live theatre is that it has never heard of structure. Sometimes the audience laughs at the joke. Sometimes they don’t clap at the end of a song. Sometimes a fellow actor misses an entrance. Sometimes your Skittles bag will have none of the lemon ones. No matter what, you have to be prepared to go with the flow. As they say, the show must go on. One of the hardest lessons to learn as an artist is that you can’t win them all. You can want a part with your entire soul, give the best callback you’ve ever given in your life – and you still might not get cast. Maybe you gave a killer audition, and you didn’t even get a callback. You have no control over anyone’s decisions except your own. When I first started performing, I had so many preconceived notions of myself. I thought I was only a musical theatre actress, I thought I’d never do Shakespeare, that I was an alto, that I was somehow above performing in the ensemble. Here I am today, wrong on all counts. I have learned so much by allowing myself to step outside of my comfort zone and acknowledge that new does not necessarily mean bad. Say yes to things you wouldn’t normally say yes to, and you might surprise yourself! I am a go getter. I want to do everything all the time. I want to help you, and you, and you, and also them, and her, and him, and – Yes, yes, you get the point. I tend to stretch myself out and tie myself into knots trying to do nine million things at once. I love helping others and committing to many different projects – but this often comes at the expense of myself. I become worn down and exhausted. I end up not being able to do my best work on anything. It’s a lesson I’m still learning that I can say no. I don’t have to do absolutely everything right now. It’s okay to not overload on stress and take time to take care of myself, not just other people. Artists often have a reputation for being “those people.” The obnoxious, the outspoken, the ostentatious. I remember being really intimidated by my fellow drama kids in high school. See, I could barely open my mouth to say anything – not that I would have gotten a word in edgewise with that crowd (some reputations prove true). Looking back now, I realize that what was holding me back was not shyness, but the fear of letting go. The fear of showing off. The fear of just being myself. Art should never be a place where you feel like you have to hide yourself away. You don’t have to be afraid. We so often settle for less than we deserve. Nowhere is that truer than in the world of an artist. I see so many good artists who settle for “good” when they could push for great. It’s a frustrating, tiresome practice, but it is ultimately so rewarding to tell yourself to run the extra mile. You may think you cannot possibly reach the stars, let alone break through the atmosphere, but you are capable of more. You’re braver than you believe, stronger than you seem, and smarter than you think. (Okay, I learned that last bit from Winnie-the-Pooh. SUE ME). Art is a catharsis. I have had tragedy cut me deep in my life, and the place where I found refuge was through singing my heart out onstage. I healed through falling in love with the young Florentine called Claudio. I found sanctuary in singing the songs of Gershwin. Hope came to me in an attic and a story of four sisters. When you are hurt, let yourself find the light in your art. It’s there; I promise. This is… Not necessarily a lesson I have learned yet. I am a people pleaser. I crave the acceptance of others, and I need their approval to feel like I’ve accomplished, well, anything. As Lady Gaga has so eloquently stated, “I live for the applause, applause, applause.” But as previously discussed, you can’t possibly get what you want all the time. Sometimes, the audience will be deader than a doornail. Sometimes, the approval you crave from your peers won’t just be handed to you on a silver platter. The thing is, though, the truly awful, painful thing is that you shouldn’t do art just for other people. You have to get something out of it, too. Art is a gift, and you deserve to get just as much as to receive. Do it for yourself. This is it. This is the best lesson I’ve ever learned. I am enough. I am so enough. You are enough. You are so enough. It is unbelievable how enough WE are.